Helping secure home loans for non residents struggling to find a bank that will deal with them. With the average value of residential property more than doubling since 2007, out of market risk (not being in the local property market) has impacted on many expat kiwis wanting to return home. A solution to this is to purchase an investment property while living abroad, so when you choose to return, your not priced out of the local market. Get on the New Zealand property ladder, build your portfolio and leverage your foreign income from abroad, by applying for our help today. Approved Mortgages were amazing assisting us get a home loan for our build in Wanaka. We were located in Australia and were faced with the tyranny of distance trying to liaise with banks to get a home loan. Andy specifically, was amazing acting on our behalf and finding the most appropriate loan for us. Andy was even able to help us work through the challenges of being an non-resident borrowers. Andy was able to you his local knowledge to help us get the right appointments in a very short time frame to make sure that we had everything in place for settlement. When faced with settlement, Andy helped us meet a very short timeframe which I feared we were not going to meet. I recommend Approved Mortgages to anyone looking for a home loan. Andy’s professionalism, attention to detail and can do attitude was what made our application process so successful. He was able to secure us a great deal with the bank considering we were non-residents. I cannot thank Andy and Approved Mortgages enough and will definitely use them again in our next purchase. I’m 100% satisfied with the loan package I got through Approved Mortgages. Firstly, I went with a mortgage broker as I knew I would need quite a lot of support and advice due to the fact I’m living abroad. I knew that being overseas would pose some challenges in securing a loan, however the broker was able to assess my current situation and not only find a lender, but secure a great package for me. I was particularly impressed with the patience and attention to detail that Andy gave my application throughout the process. Being a newbie, I had a ton of questions, but he always took the time to clarify things for me which made things a lot less stressful. In short, I’m very happy with the loan package they were able to secure for me and I’d highly recommend anyone looking for finance to get in contact. 1. Home loans for non residents - are you eligible? Whilst you can be working and residing outside of NZ, you will need to be a citizen of either New Zealand, Australia or Singapore to possibly be eligible in attaining a mortgage from a NZ bank. It's a complex lending environment currently, all the more reason to have 'boots on the ground' and appoint an independent mortgage broker to help secure an approval for you. Often the biggest stumbling block to buying a home in New Zealand while you are living abroad is to obtain bank finance. New Zealand banks have been tightening the rules for lending to NZ expats, and many expats who were previously able to borrow money have found their borrowing capacity dramatically reduced (or become non-existent). Depending on your situation we find that there are currently only two banks in NZ that may lend in the situation now. With so few options available now, request our help today and with our support your property plans can become more attainable. You will need a minimum deposit of 30% and typically be employed earning wages or salary rather than self employed to be eligible. We can also use the rental income from the proposed property that you wish to purchase which can further strengthen your home loan request. 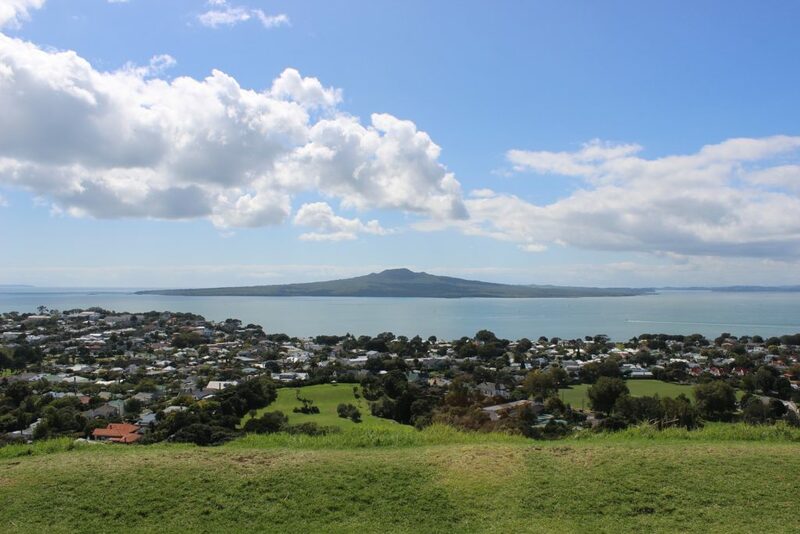 Are you looking for property as a long term investment or perhaps wanting to buy your dream home as an expat prior to returning to NZ to live in permanently. Do you plan to move into the house when you return to NZ, or will the property be for investment purposes? Are you wanting a low maintenance, brand new apartment, or an older property that has future development or renovation potential? A Buyer’s Agent for a lot of people is a great way to go, again using the principal of 'it's hard to beat, boot's on the ground' whilst you are not able to be in NZ. Others opt for the do-it-yourself approach and they choose to do all their searching and due diligence using real-estate websites like www.realestate.co.nz or www.trademe.co.nz/property. Our preference is that people never buy a property that they or someone independent to the agent selling the property has not personally inspected. While some people may have access to friends or family that are willing to do a lot of running around for them, for other people living outside NZ there are many benefits to using a buyers agent. A buyers agent, like the following one who covers the Queenstown and Wanaka area, will short list properties for you based on the selection criteria you have specified. They will physically inspect the property and checkout the neighbourhood and street the property is on. Finance Approval – it is good practice that no matter how confident you are in your ability to obtain finance, that your offer should always be subject to obtaining finance approval. Once you have completed all the conditional requirements of your contract, you can then advise the Sellers Agent that the contract is now unconditional and that you will be proceeding to settlement. Essentially, a chattel depreciation is a tax deduction you can claim that represents the loss in value of the fittings of your property during the course of the year. Depending on the age, style and size of your property it may be possible to obtain in the order of $2000 to $7,000 per year in depreciation tax deductions. The best time to get a depreciation report is as soon as you purchase a property. In order to claim chattel tax deductions you will require a depreciation schedule prepared by a licensed quantity surveyor. You will also require a property manager to look after your new asset. They will source tenants and manage your property on your behalf. This will normally cost around 8% of your rental income. Why Did You Want to Purchase A New Zealand Investment Property? Was it difficult managing the purchase of an NZ Investment Property from overseas? Do this next. Start by clicking here. We’ll ask you only a couple of quick questions so that we can start to understand your situation before we talk and get right down to business. 1) Do NZ Expats Need OIO (Overseas Investment Office) Approval to Purchase Property in NZ? A) A common misconception of NZ Expats is that they will need to obtain OIO approval to purchase property in NZ. Recently the Government has been cracking down on foreign investors who have purchased property without the necessary approvals from the OIO. However, NZ Citizens living overseas do not require OIO approval to buy property in NZ. 2) I'm an Expat Kiwi and I want to purchase a property in NZ. Can I get finance from a NZ bank? A) Yes we can potentially secure NZ mortgage finance for you. Lending requirements have tightened significantly meaning that we are currently only to attain approvals from 2 banks in NZ, where you reside and work outside of NZ. Banks may also apply a 'shading'(discount) to your overseas income of anywhere between 20-40%, to reflect their assessment of the greater risk associated to lending based on non-NZ generated income. You will need a minimum of a 30% deposit, because the property will most likely have to be assessed as an 'investment property', as you are not in country to be able to live in it and be able to call it your 'owner occupier' property. 3) I'm an overseas citizen (non resident), can I obtain a mortgage on a property based in NZ? A) With the exception of New Zealand, Australian and Singaporean citizens, banks in New Zealand wont provide a mortgage to a foreigner wanting to obtain a mortgage on a NZ property. New Zealand permanent Visa holders should still make an initial enquiry with us to see if we can assist you in your particular situation. A) This depends on weather you have been AML/CFT Anti-Money Laundering and Countering Financing of Terrorism processed by the lending institution that is providing the mortgage. If this process has been completed in is possible to sign the necessary documents in-front of the appropriate authorities abroad, however more often than not a trip home should be factored into your budget to fulfill this requirement. 5) What about currency risk? Do your own research first but look into why so many people are choosing to use specialist money transfer providers who can deliver better exchange rates than the bank. Our clients are entitled to preferential pricing with XE.com Money Transfers where they have been referred first by us. Ask us today if we can make a referral for you and find out how much you will save on your next international money transfer. Forward contracts - some clients consider using some thing called a Forward Contract to lock in favourable exchange rates for up to one year. With a referral from us, the team at XE.com Money Transfers can provide you with guidance on how this works. Lets see if we can help you get your property buying plans off the ground. Enquire today so that we can set about finding out what your options are.